The goal of ORCID is to provide an identifying infrastructure for individual research activities. The main idea is to connect research, funding and publishing institutions with the individual researcher via a unique ID. It is similar to an electronic portfolio where you can establish so-called ‘trusted’ connections, e.g., where institutions are allowed to look into your scientific record and to add information to it. This is — by the way — also the funding structure of ORCID: Membership organizations have to pay a pretty high subscription fee (starting with 5.150 US $) to connect and use their infrastructure with ORCID. Only TU Graz has already established an integration with ORCID, the other three are still in the process of planning the technical infrastructure for this bonding. 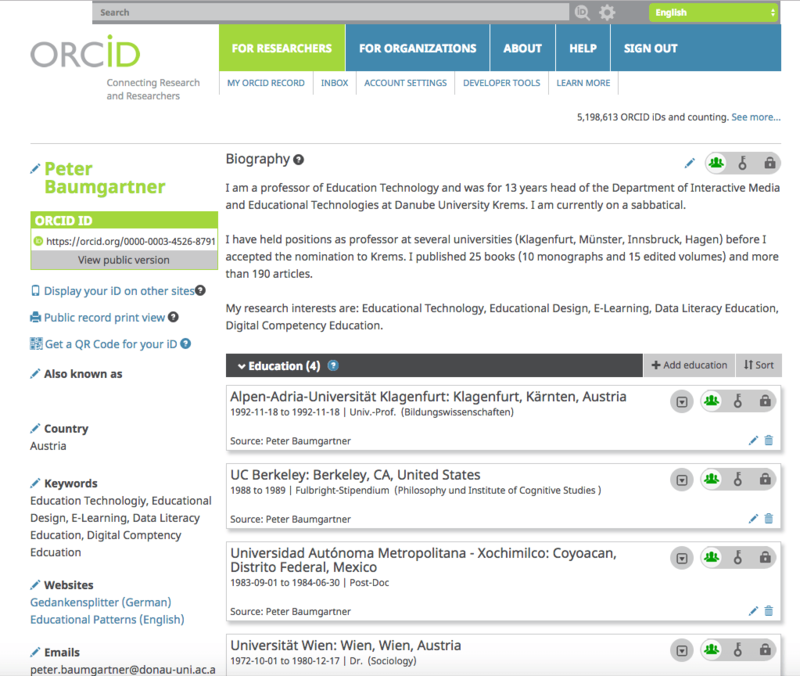 But ORCID is already very advantageous for the individual researcher: The ORCID ID gives you a personal, digital, international and persistent name identifier. 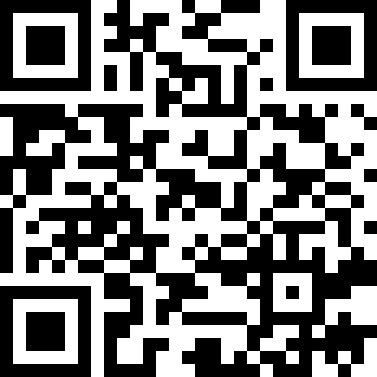 This ID outlives the change of working positions with their associated web presence and email address. But more important: The ID identifies you unmistakable, e.g., independently name changes with marriage or a pool of people with precisely the same name. Especially the last case is crucial for me: I know from a funny event (1st International Meeting of people with the family name of ‘Baumgartner’) that there are about 4.700 (!) Baumgartner’s in Austria alone and perhaps several thousand more in the world. As my given name ‘Peter’ is also trendy, there are always a bunch of Peter Baumgartner’s in every database. Even when I want to redeem a voucher in a small shop, I have to provide my address as there are two or three Peter Baumgartner’s in their database. This coincidence of names is very cumbersome when somebody tries to find my publications: There are way too many publications under my name! And not in all cases you can decide and separate them with adding the research field. There is especially another Peter Baumgartner in Computer Science situated for many years in Koblenz (Germany). As I am working on E-Learning issues you can imagine that there arose many times confusion: Sometimes we got even E-Mails for the other person. This Peter Baumgartner has now changed to Australia, but this has not helped much to clear up the situation as the confusion between Australia and Austria is legendary. If you Google my name, you will find several others Peter Baumgartner, especially a top-rated speaker and coach: Peter Baumgartner, der Mutmacher (‘the bolsterer’ from ‘to bolster somebody up’). ORCID helps to prevent precisely this mistaking identity! There are other similar initiatives like Scopus Author ID and ResearcherID. Remains to mention: ORCID is free, platform independent and Open Source under the MIT License. ORCID aims to be a part of a broader social and technical infrastructure for uniquely identifying researchers with their work, affiliations, funding and publishing institutions. Almost 5.2 Million researchers have already applied for their free ORCID ID. In the long run, many institutions engaged with research (universities, funding agencies, publishers) should be connected and form part of this global infrastructure. Even if this is not the case at the moment, applying has already some advantages: It gives you another place to present your work, e.g., a free web presence and provides you furthermore with a personal, digital, international and persistent name identifier.